Charismatic authority, unlike traditional authority, is a revolutionary and unstable form of authority. Weber borrows the religious term of charisma and extends its use to a secular meaning. Audiences and followers believe that charismatic leaders have a close connection to a divine power, have exceptional skills, or are exemplary in some way. Charismatic leaders promise change in the future for the society and also change people's attitudes and values; in this way, charismatic authority is revolutionary in a way that traditional and legal-rational authority are not. However, charisma is unstable and deteriorates if the leader cannot produce the changes he promises or when he confronts the contradictory logics and demands of the other types of authority. There are particular ways--including search, revelation, designation, or heredity--that charismatic successors are identified, but transferring charismatic authority is difficult and not always successful. 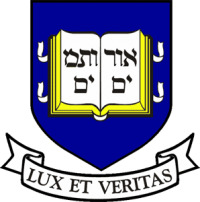 This Yale College course, taught on campus twice per week for 50 minutes, was recorded for Open Yale Courses in Fall 2009.